If You Don’t Plan Your Windows 7 & Server 2008 Upgrades SOON You’ll Need One Of These… - LDD Consulting, Inc. If you haven’t heard the news about these critical systems upgrades by now, consider this letter your official notice. If you decide to wait until last minute, I’ve attached a packet of aspirin to this letter for your inevitable headache. The hassle of trying to get the upgrades done on time compounded with the huge cost of potential downtime is one headache you don’t want to deal with, which is exactly why I sent you this letter. Microsoft has officially announced that it will retire support on the Windows 7 operating system and all versions of Windows Server 2008 on January 14, 2020. 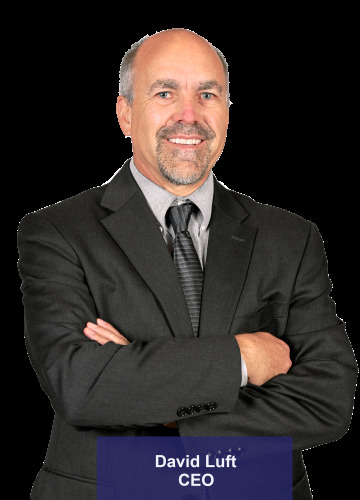 My name is David Luft, owner and CEO of LDD Consulting. As your local Microsoft Partner, I am reaching out to all Albuquerque area businesses that may use Windows 7 and Windows Server 2008 to alert you of these critical updates to your system. Chances are you’ve never heard of me or my company before, but when you finish reading this letter, you’ll be glad you finally did. Why can I make such a bold statement? Because every IT support company that cares about their business clients should have already talked to you about this issue, and they should already have a plan in place. If you don’t already have a plan in place, then your current IT guy simply hasn’t done their job. My role in taking care of your technology is to not only make your computers and servers work, but it’s to also help you keep your business running! The best technology HELPS YOU RUN YOUR BUSINESS and every technology decision is also a business decision. Why do you need to upgrade your Windows 7 and Server 2008 systems? It is absolutely critical to upgrade your systems because all Windows 7 and Server 2008 operating systems running in your business will be completely exposed to serious hacker attacks aimed at taking control of your network, stealing data, crashing your system and inflicting a host of other business-crippling problems you do NOT want to have to deal with. This is such a serious threat that all companies housing financial and medical information are being required by law to upgrade any and all computer systems running Windows 7 or any version of Windows Server 2008 because firewalls and anti-virus software will NOT be sufficient to completely protect them (or you). Don’t risk your valuable data and your client’s personal information. The safety of your data and systems is the most important thing to operating a successful business. Without these programs running smoothly, all havoc will break loose, and the last thing you want is to be forced to pay a ransom fee for your own data! Unless you don’t care about cyber criminals running rampant in your company’s network, you MUST upgrade any servers or workstations running these operating systems. While January 14, 2020 may seem like a long way off, updating an IT infrastructure is a large task that takes considerable time. It’s important you take action NOW, before it’s too late! Save yourself a headache and save your business $ by planning ahead! You already have a to-do list that’s a mile long and not enough hours in the day to get everything done. The last thing you need is to have your entire operations shut down while you scramble to get expensive servers and computers upgraded. The cost of downtime alone will put a HUGE dent in your bottom line! Without proper planning well in advance of January 14, 2020, the process of upgrading your systems will transform from a small headache into a severe migraine. You want to get ahead of the other 40,000+ businesses in the Albuquerque area that are going to be making these same upgrades at exactly the same time. At no cost, we’ll come to your office and conduct our Risk Assessment and Migration Plan to not only determine what specific computers and servers will be affected by this announcement, but also to assess other security, backup and efficiency factors that could be costing you in productivity and hard dollars. In the spirit of saving you money, I’ve decided to “sweeten the pot” and make the following offer of 3 FREE hours of labor to anyone who hires us to upgrade their network before March 31, 2019. Rest assured, our Risk Assessment and Migration Plan comes with zero strings attached and no obligations (or expectations) on your part. If nothing else, it will be a good value for your business to make the critical Windows 7 and Server 2008 upgrades! Not Ready To Meet Just Yet? Then at least allow me to send you our brand-new free Executive Report titled “Top 10 Hackers Free Report.” This Executive Report is brief, concise and contains facts and information that might mean the difference between surviving this terrible and growing storm of cybercrime coming or being financially devastated and sunk. Click here to view this report for free,or you can call my office at (505) 792-2375 for your free copy. You make us feel secure, knowing that you take care of our back-ups and you monitor everything. We are so happy with LDD Consulting; we wouldn’t even think about going anywhere else for our HIPAA compliant backup.